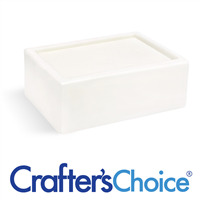 Crafter’s Choice Shea Butter Melt and Pour Glycerin Soap Bases contain real shea butter, which is thought to protect skin from the weather! They have a very white color, and are low sweat soap bases. Made in the USA.